The Asaba is a slimline convector inset gas fire designed for homes with a shallow pre-cast flue, class 1 or class 2 pre-fabricated flue systems (min. 127mm or 5" diameter) or conventional class 1 brick chimney. The Asaba features a clever heat exchanger that provides convected heat in addition to standard radiant heat. 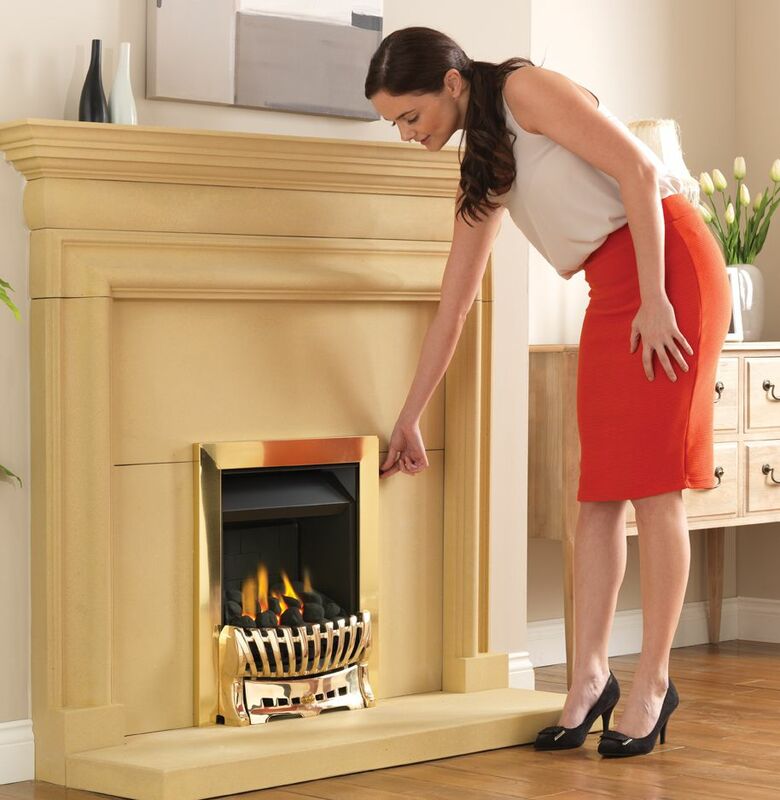 The Asaba's versatile slimline convector firebox fits a standard fireplace opening, normally 16" wide x 22" high (please refer to product specification). Thanks to its shallow installation depth of 125mm (plus 20mm debris collection) the Asaba is a very popular choice for modern homes seeking an open fronted gas fire where minimum depth and maximum heat is a priority. The Asaba can be specified with coal or pebble effect fuel bed. It is available as Manual Control (Rotary), Manual (Fingerslide) or Remote Control. The Asaba is not available with any of our Timeless cast frames.